Loft/Studio workshop space located off Ashland Avenue in thriving Wicker Park. Ground level open concept 1,400 square foot studio that currently operates as an artist's studio and for pop up events. Unit includes large open area, overhead garage door, private full bathroom, high ceilings and storage area. 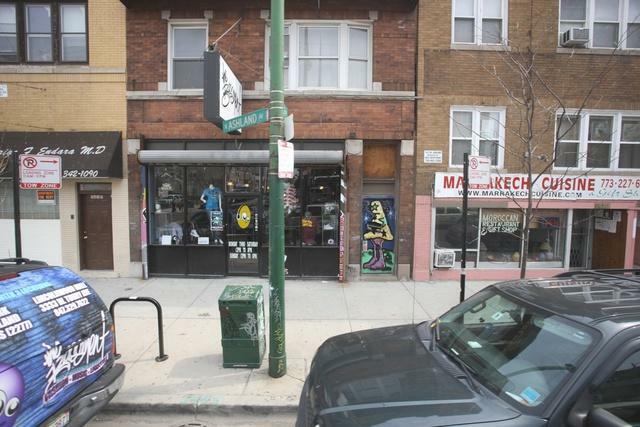 Highly accessible location one block from Division intersection blue-line stop. Traffic count is in excess of 35,000 cars per day. Highly visible location near Wicker Park Commons center with brand new Lowes, near 1237 N Milwaukee mixed use apartment and retail complex and one block from Division intersection blue-line stop. Ask Broker about lease special.